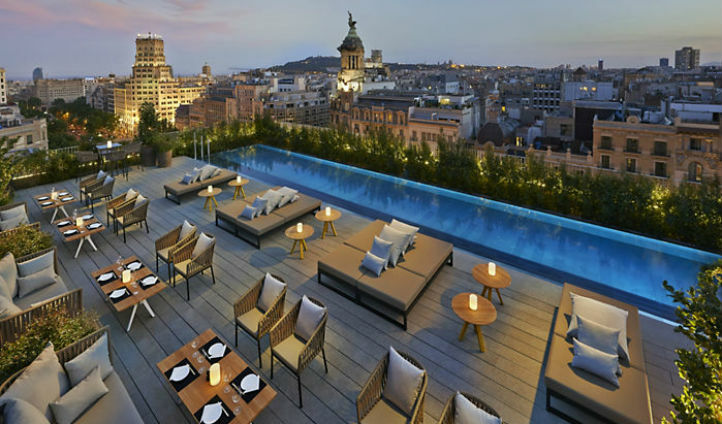 Leading Spanish designer Patricia Urquiola has created a luxurious haven with the Mandarin Oriental for those visiting the bustling city of Barcelona. Enter the property on an elevated catwalk to start your getaway in style. 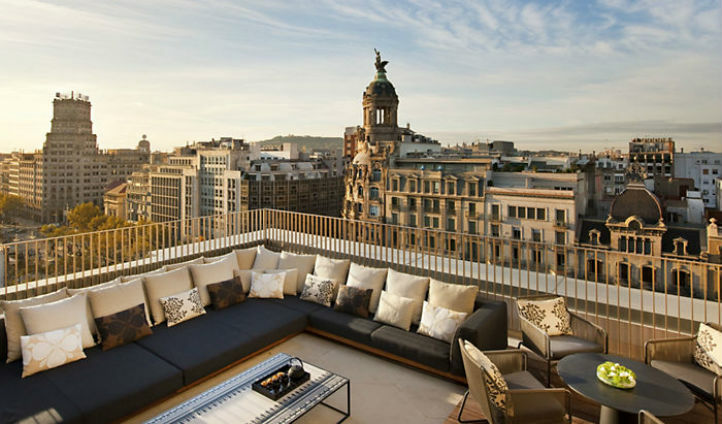 Contemporary in design, Mandarin Oriental Hotel offers beautiful panoramic views of Barcelona from it’s spacious rooftop Terrat. Mandarin Oriental is home to an exclusive address and is perfectly situated on the prestigious Passeig de Gràcia, known as the Rodeo Drive of Spain. Take a short stroll to some of the city’s best attractions including Las Ramblas, La Sagrada familia and Gaudi’s Casa Batllo. 120 exquisitely decorated rooms and suites have stunning views over the garden or high-status storeping venue Passeig de Gracia. The suites provide luxurious bathroom amenities by Acqua Di Parma, private terraces, high-end televisions and a butler service that will make you never want to leave. Look no further for a glamorous city break hotel with a lavish wellness center. The dim-lighted spa enjoys a calming ambiance; dive into the gorgeous swimming pool, or relax on tiled loungers in the oriental steam room; a truly tranquil and serene experience. Alternatively, feast at Moments, their golden clad Michelin starred restaurant.